What would you do, what would you think and how would you act if a plane you were travelling on was suddenly ordered to land in a small town in the middle of nowhere and you were not allowed to get off that plane for more than 24 hours? What if you were a resident of that small town and saw its population nearly double in a matter of a few hours. How would you react to all those strangers suddenly descending on your small community? 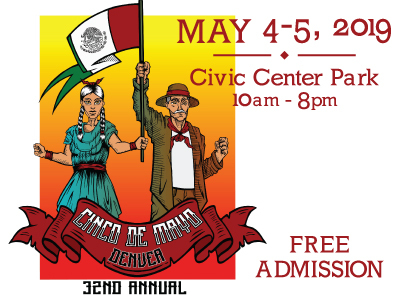 What would cause you to return to that small town 10 years later for a reunion along with thousands of others who were once unwilling captives of a situation they had no control over? 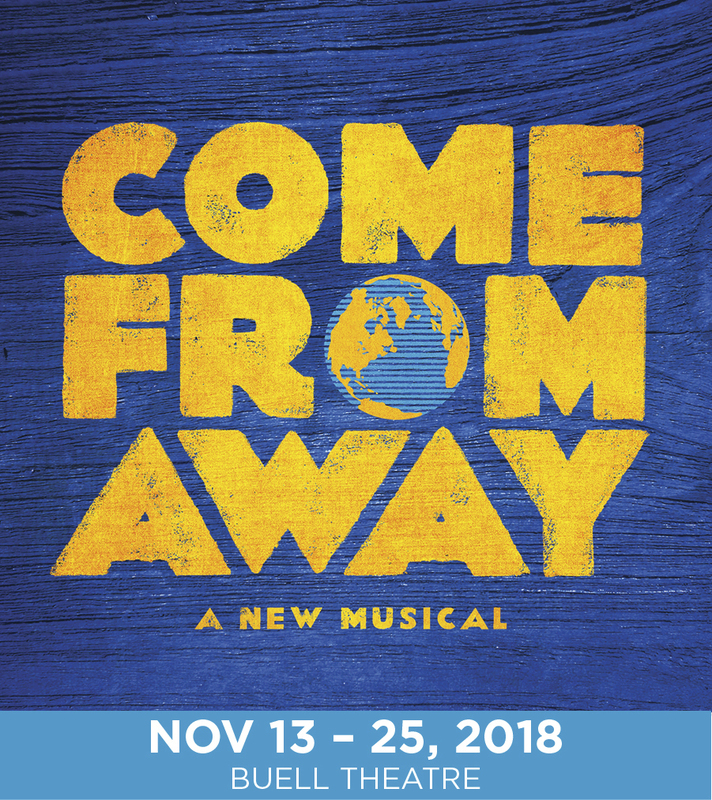 ‘Come From Away’ is the true story of exactly that happening to the Canadian island town of Gander, Newfoundland when more than 38 planes carrying 7,000 passengers were diverted there during the terrorist attacks on the U.S. on that tragic day, September 11th, 2001. In its first North American tour this new musical is actually an uplifting and entertaining look on how the people of Gander reacted to this population explosion of people who were suddenly in need of food, clothing, shelter and compassion. It is also a look at the passengers of one of those planes and how they reacted to their new found home, its inhabitants and to one another. Beverly Bass was the captain of an American Boeing 777, one of the largest passenger planes in world. Bass was the first female captain at American Airlines when she was just 34 years old in 1984. On September 11, 2001 Flying from Paris to Dallas with 158 international travelers she found herself and them stranded on the tarmac for 19 hours after flying for 8 hours. There was simply nowhere for them to go, no one to care for them if they were let off that plane. Or so they thought. Cell phones and wifi were not prevalent in 2001 so no one knew what was really going on and why. Those who did have cell phone access only fueled rumors or World War III and Armageddon. Stuck on that plane, nerves rattled and no access to their stored belongings stress levels and suspicions ran high. There were Muslim passengers on that plane which made tensions even worse. 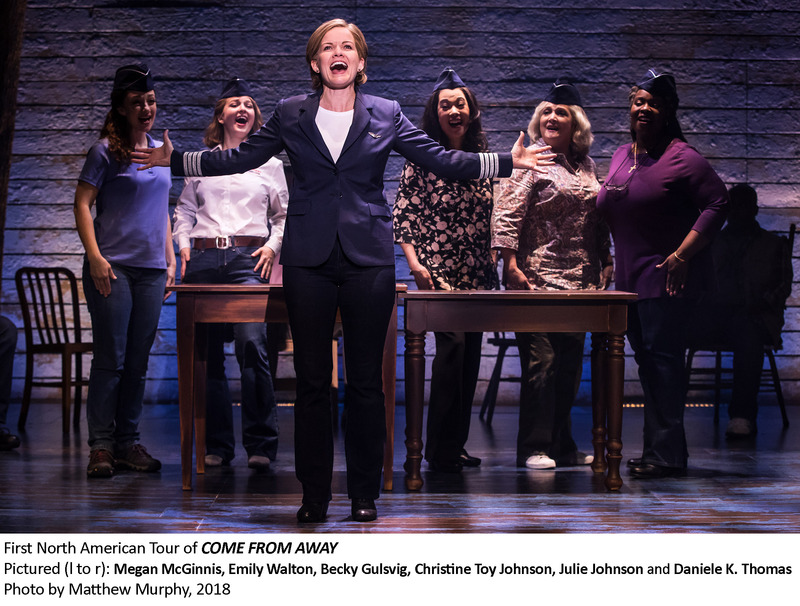 It’s what happened next, when they were finally let off that plane onto the grounds of Gander where they were able to see television screens of what was happening in the U.S. that reality and near panic set in that Come From Away is really all about. With no access to luggage and fearing the worst they were suspicious of everything and everyone. So when the people of Gander welcomed them with food, shelter and even diapers, baby formula, inhalers, insulin needles and just about anything else they might need the passengers were taken back not knowing what to think. They just wanted to call their loved ones back home to let them know they were ok and to see how they were doing. They all wondered about how much longer would they be stuck in the middle of nowhere and how would they cope. And what about their pets and the dozens of other animals that were stuck in cargo holds on all those planes, what would become of them? It would be five long days and nights before they were able to board planes to their final destinations but what they left behind in the towns suggestion box astounded every citizen of Gander. At the after party following the opening night production it seemed that everyone was talking about what they were doing at that exact moment on September 11, 2001 when they heard the news of what was happening. It was one of those occurrences that are etched into our minds forever. 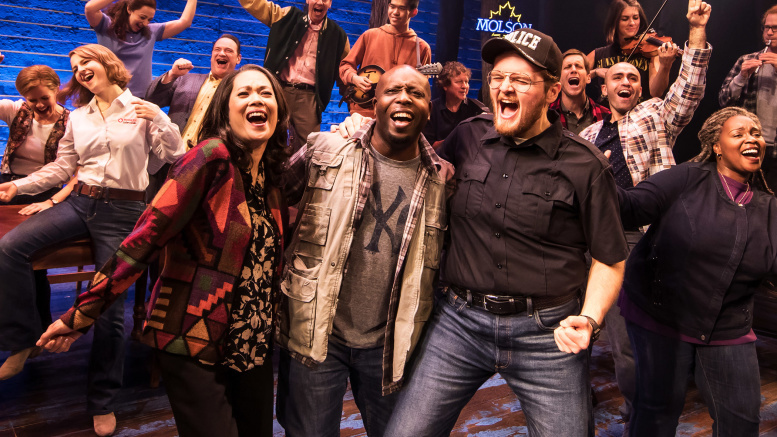 Yes, Come from Away is an entertaining, heart beating and dare I say, fun look back on what otherwise would be a depressing reminder of an occurrence that changed the way we live forever. It reminds of us that we can and should be kind and supportive of one another no matter our backgrounds. The people of Gander proved it is possible. We just need to follow their example and believe in one another as human beings and citizens of the world.